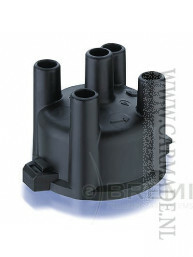 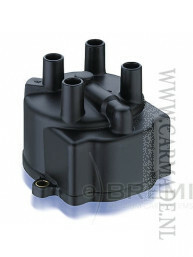 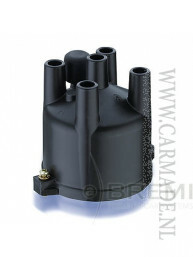 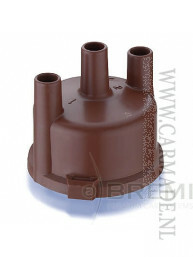 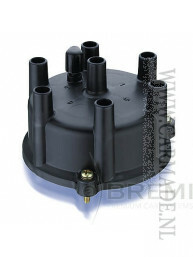 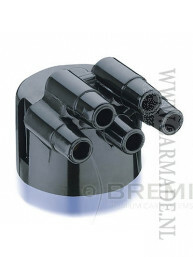 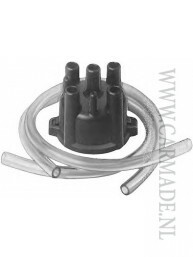 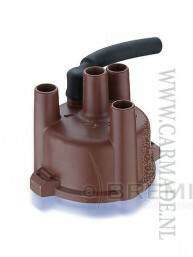 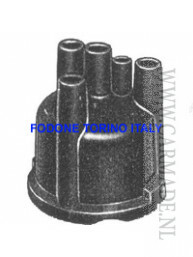 The distributor cap is an integral part of a car's ignition system. 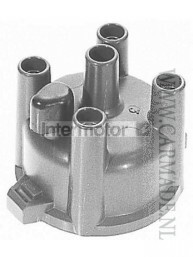 It works in conjunction with the rotor arm contained within to transfer electrical charge from the ignition coil to the spark plugs. 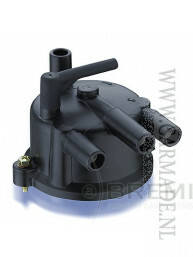 This in turn creates the spark needed to ignite the fuel mixture and power the car. 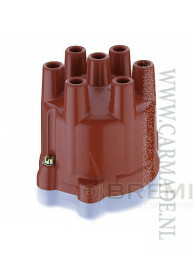 As distributor caps for every make and model of car are subjected to constant electrical charge and sparks, the metal terminals inside the cap can gradually become corroded, resulting in increasingly frequent misfires, so the distributor cap is a component that will eventually require maintenance or replacement. 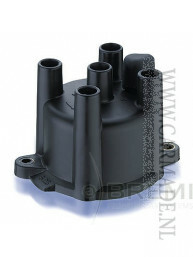 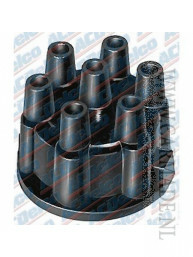 Verdelerkap voor Bedford, Isuzu, Suzuki e.a.